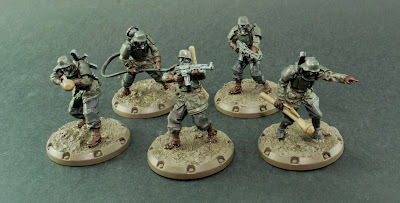 Time for Dust Tactics! Another great opportunity to get my paws on a host of new and interesting models. I am certainly partial to anything WWII related so it was cool to get a look at these models first hand. I will say that despite the medium consistency of the plastic used on the infantry (and a few slightly flaccid weapons) the detail on them is pretty good. The plastic for the vehicles, by comparison, is solid. 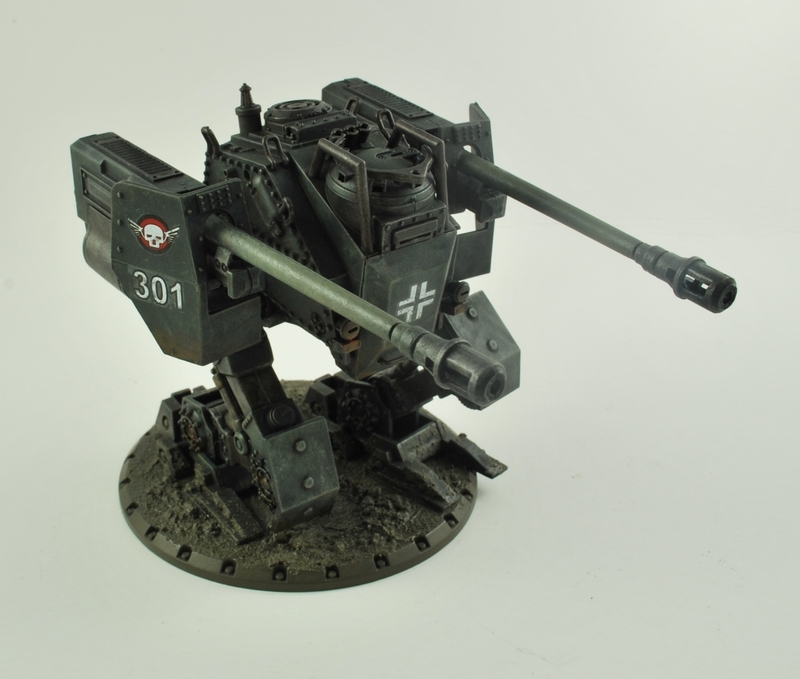 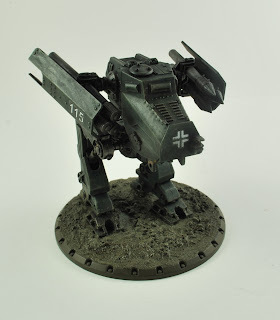 The goal for this paint scheme was leaning towards more historically accurate colours and weathered realism. 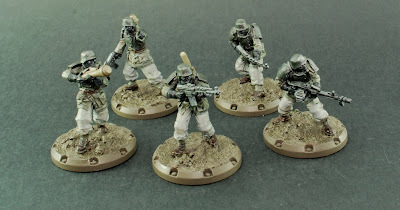 For the axis uniforms and weapons I incorporated a number of Vallejo's German specific paints I had, namely German Fieldgrey WWII, and German Camo Dark Green. 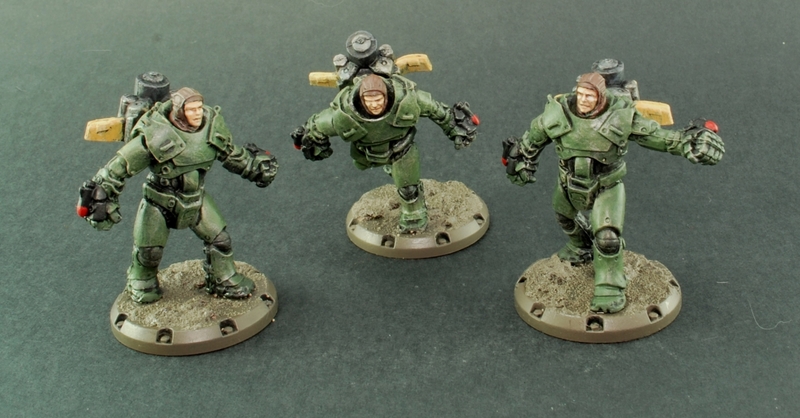 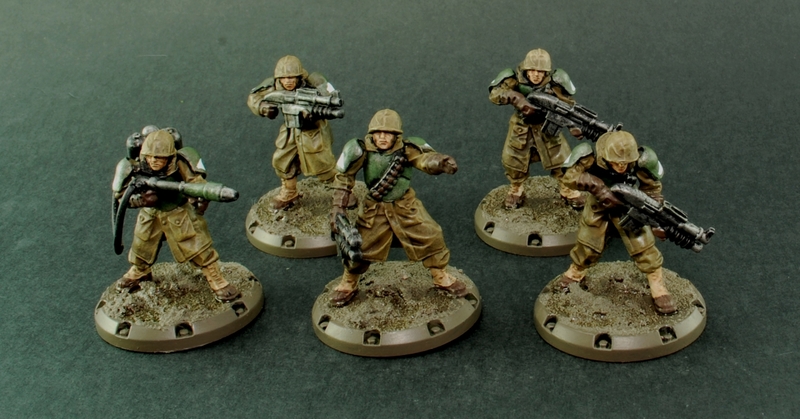 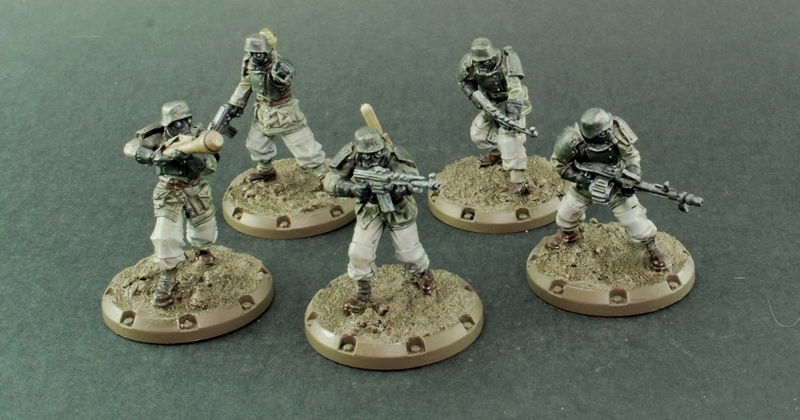 The Foundry palette Drab was used for the Allied uniforms. 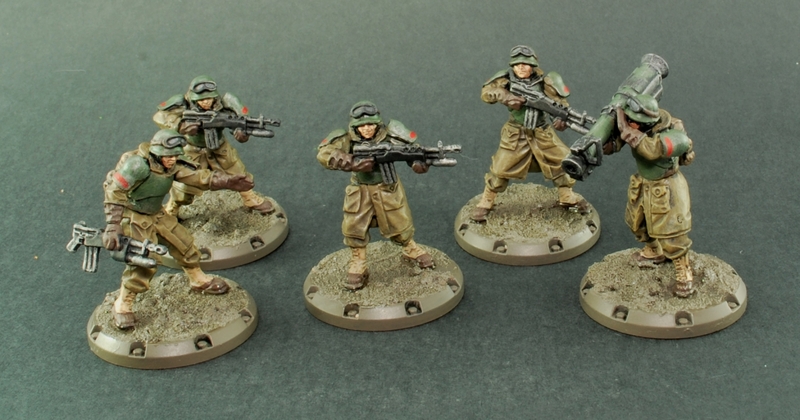 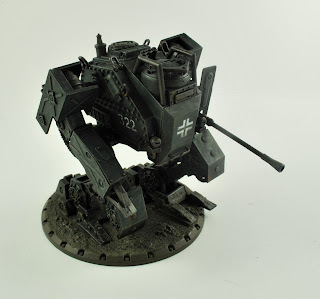 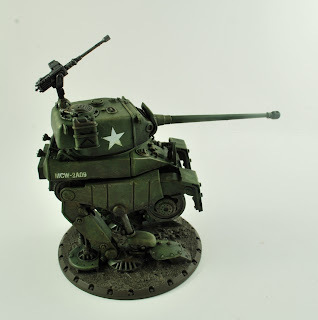 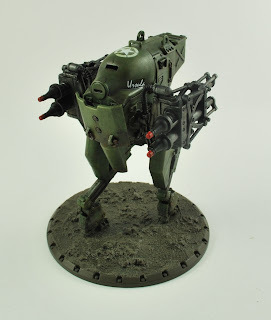 The Axis vehicles were base coated Vallejo Black Grey, with Foundry Phlegm Green Shade for the allies. 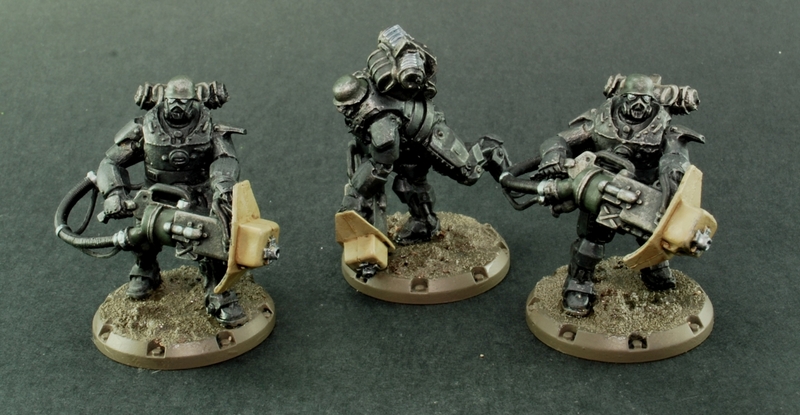 These were weathered up in many stages with a combination of dry-brushing and inks. The basing for all the models involves Vallejo Dark Earth Paste and a little ink plus water effect applied. The final touches were squad markings for the Allied troops and all the markings for the vehicles which are from the official Dust transfer sheets (available from Dust Game - super quick delivery from the US! 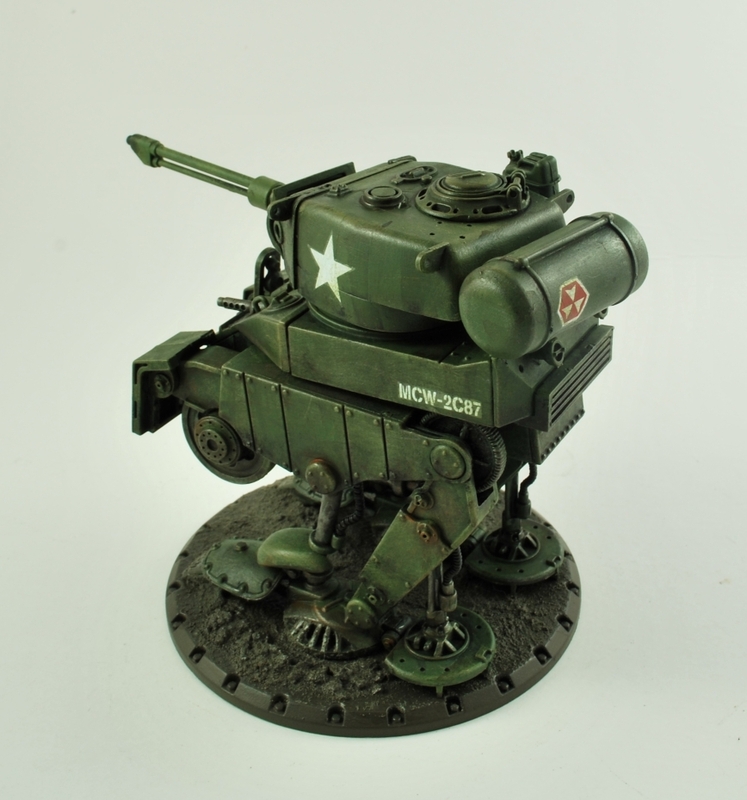 Or alternatively if you were just after the stars and crosses, and none of the vehicle designation or extras, you could use the Bolt Action decals available from Warlord Games). 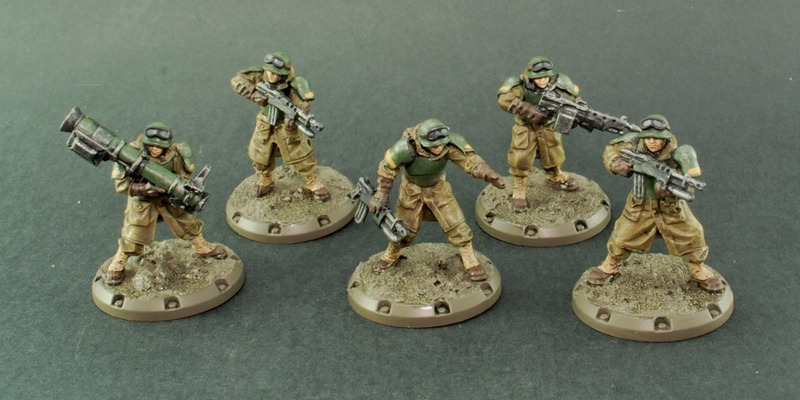 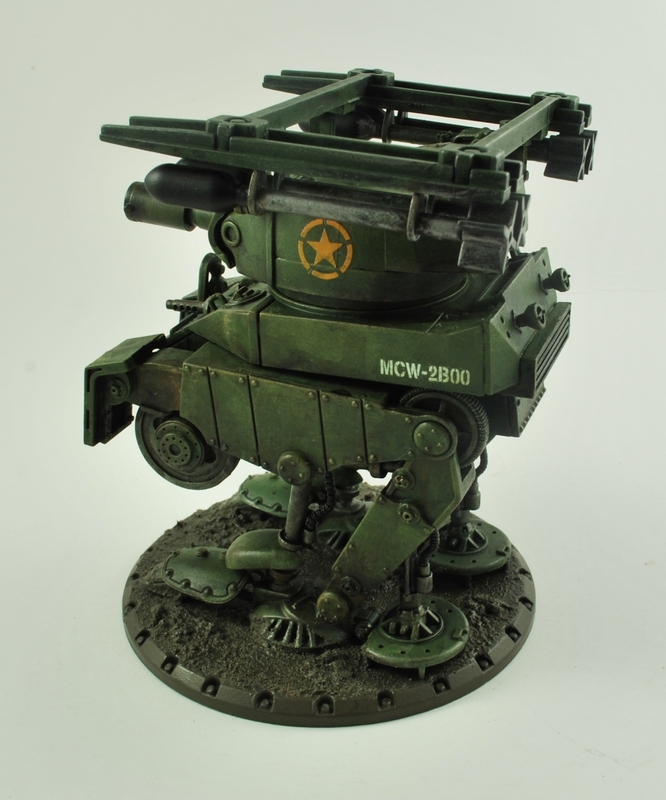 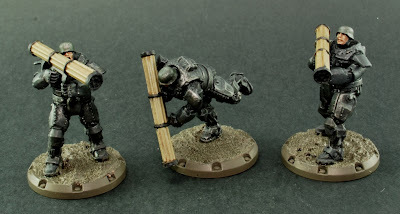 Plenty of impressive models are still being released for Dust Tactics/Warfare following its switch from Fantasy Flight to Battlefront/Gale Force 9. 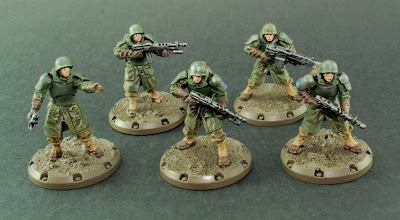 It will be interesting to see where they take things. 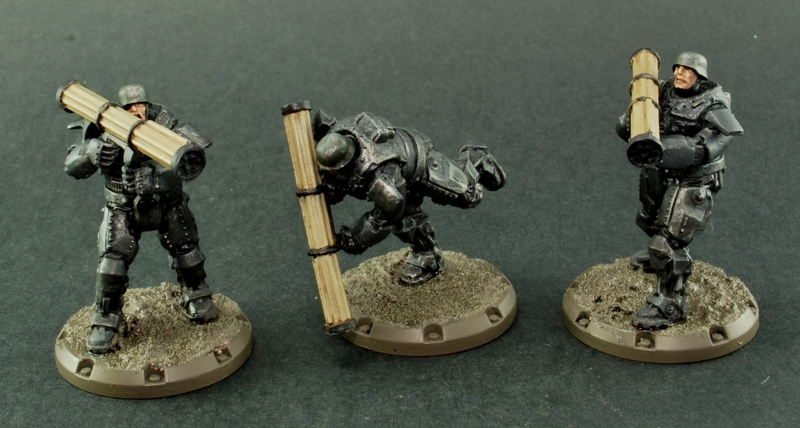 We shall also see if I get the chance to paint any further Dust stuff. 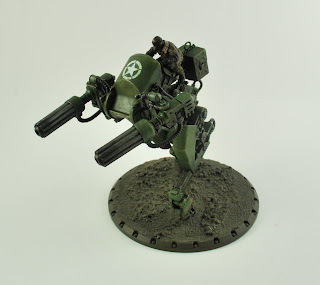 If I do, you will be sure to see it here!